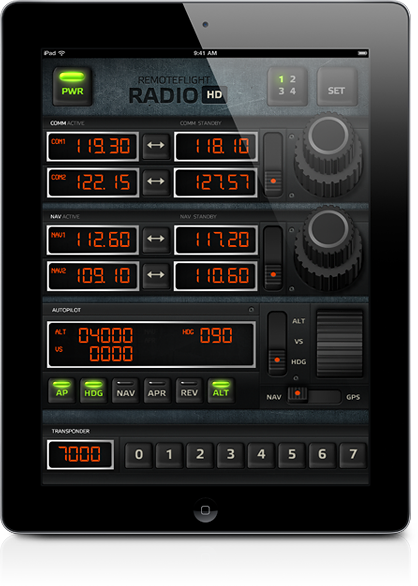 RemoteFlight RADIO HD is the ultimate radio panel for iPad. Period. All your favourite radio gauges in one place, beautifully drawn, animated and programmed with pilot's comfort in mind. Since all gauges don't fit on one screen you can now switch between different gauge layouts, and instantly get the instrument you need. Use multi-touch for more precision or faster scrolling (knob turning) through frequencies. 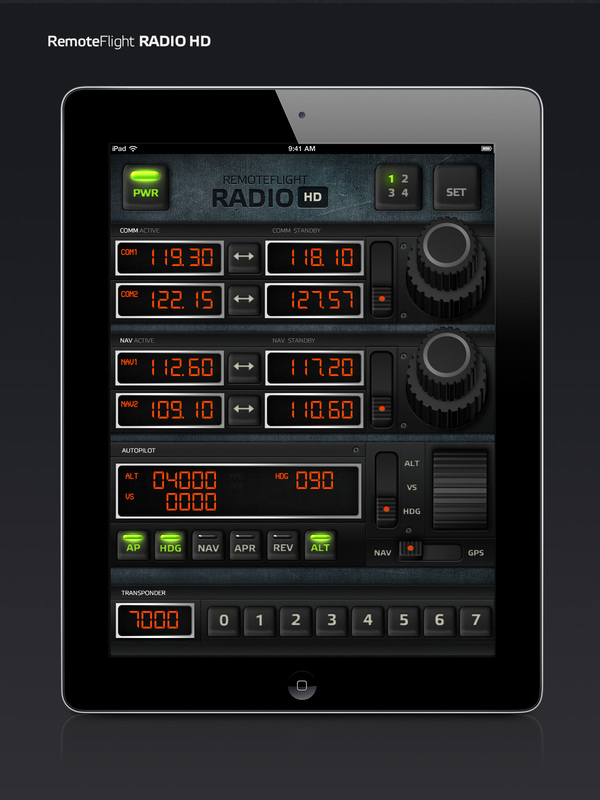 RemoteFlight RADIO HD aren't just our iPhone apps packed together into one. Enjoy it, whether flying online in an airliner, or in your IFR training with smaller aircraft. Altogether six gauges in one! 100% compatibility with default aircraft. COM and NAV part will also work with payware addons. Autopilot features will not work on payware aircraft with custom autopilot (such as PMDG, LevelD, Wilco etc.). RemoteFlight Server is required to connect your Flight Simulator and the apps.